Jesse "JC" Clyde Vaughn, Sr.
Jesse "JC" Vaughn, Sr. 97 of Burlington, passed away on Friday March 29, 2019 at The Oaks of Alamance. 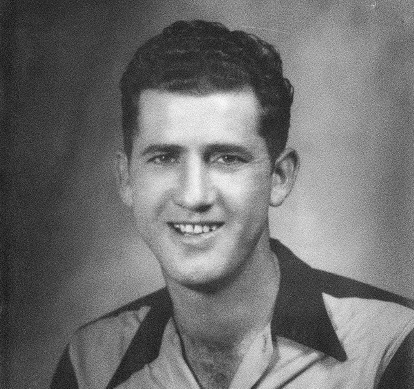 JC was born in Alamance County on June 14, 1921 the son of the late Jess and Josephine Stenson Vaughn. He was a self employed carpenter and built many homes for various families over the years including every home that his own family lived in. He enjoyed time at the lake home with his family, hunting and fishing with his nephews and especially enjoyed their talks up until his passing. In addition to his parents he was preceded in death by his former wife Mary Vaughn, a grand daughter Lori Brady Foster, brothers Marl and Bruce Vaughn and sisters Florence Butcher, Hazel Hodge, Lois Kerley and Gladys Barbee. Surviving are his daughter Linda Brady and husband Bobby of Burlington; a son Jesse Clyde Vaughn, Jr. and wife Sherry of Graham; great grand children Kristi Foster Likins and husband Jay of Gibsonville and Robert Casey Foster of Burlington. A Celebration of Life Service will be held at 2 pm on Thursday at Alamance Memorial Park Cemetery Mausoleum Chapel with Neil Breed, Life Celebrant officiating. The family will receive friends 30 minutes prior to the service at the cemetery mausoleum chapel and all other times at the home of Linda and Bobby Brady 199 Brycewood Drive Burlington. Public viewing will be from 10 until 4 pm on Wednesday at Omega Funeral Service & Crematory Chapel. Sign an online register book at www.omegafsc.com. In lieu of flowers the family asks that memorials be made to Hospice and Palliative Care of Alamance-Caswell 914 Chapel Hill Road Burlington, NC 27217. Arrangements are in the care of Omega Funeral Service & Crematory .